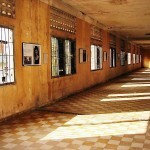 The Tuol Sleng Genocide Museum Archive was inscribed on the Asia Pacific Memory of the World Register in 2008 and on the International Memory of the World Register in 2009. A digitisation project is now underway with the objective of preserving about 400,000 records from Pol Pot’s brutal regime. The digitisation of about 400,000 pages of documents will be complete in two years. A database and website for families of the victims and researchers will also be created. The project is supported by the Korea International Cooperation Agency through UNESCO and will finish at the end of 2019. On 28 September the Khmer Times published an update of the project. 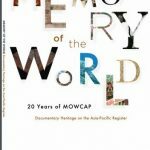 The Memory of the World: Documentary Heritage on the Asia-Pacific Register is a detailed guide to the 46 items of documentary heritage listed on the Asia Pacific regional register of the Memory of the World up until 2016. The regional register for Memory of the World was established in 2008. Between 2008 and 2016, 46 items of documentary heritage from 23 countries were inscribed onto the register. 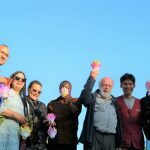 The register contains a rich variety of documentary heritage, reflecting the immense cultural, linguistic, economic and political diversity of the Asia-Pacific region. The publication was made possible through the support of UNESCO Bangkok, the City of Andong, and technical support from the Korean Studies Institute and Korean National Commission for UNESCO, as well as a number of MoW experts. Delegates from Afghanistan, the Cook Islands, Kyrgyzstan, Pakistan, Samoa, Singapore, Tajikistan, and Tuvalu gathered in Seoul, Republic of Korea, in July this year for the biannual workshop to improve nominations to the Memory of the World registers. The workshop was organised by the Korean National Commission for UNESCO and the Cultural Heritage Administration of the Republic of Korea. The participating delegates worked on improving draft nominations. Presentations on the UNESCO Memory of the World Programme and the nomination process were given by a group of MoW experts that included MOWCAP members Dr Ray Edmondson, Dr Helen Jarvis, Professor Kyung-ho Suh and Dr Roslyn Russell; and Mr Jan Bos, Chair of the Register Sub-Committee for the International Register, and Ms Joie Springer, former Chief of Secretariat of Memory of the World in UNESCO Paris. Ten new inscriptions to the MOWCAP register were approved at the MOWCAP 8th General Meeting held in Gwangju, Republic of Korea, from 29 May – 31 May. -Name Boards and Verse Plaques on Royal Architecture of the Joseon Dynasty, Republic of Korea. Tuvalu has established a Memory of the World Committee which will now manage, assess and nominate inscriptions onto the Tuvalu Memory of the World National Register for inscription and also support Tuvalu nominations to international registers. 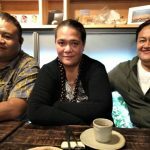 The establishement of the Committee was made possible by funding assistance received from the UNESCO Apia Office and the facilitating and guidance of the Tuvalu National Library and Archives together with the Tuvalu National Commission Officer to UNESCO. MOWCAP has been working closely with UNESCO to implement the Recommendation, Concerning the Preservation of, and Access to, Documentary Heritage, Including in Digital Form in the Asia–Pacific. UNESCO, Bangkok, has developed a brochure to provide information about the Recommendation. Arranged by five thematic areas – namely (1) Identification of documentary heritage, (2) Preservation of documentary heritage, (3) Access to documentary heritage, (4) Policy measures and (5) National and international cooperation), the Recommendation addresses both the technical and strategic issues that arise in the preservation and use of documentary heritage. It provides practical and actionable recommendations that can be used by governments, memory institutions, the private sector, professional associations, academia and others organizations and individuals operating in the area of documentary heritage.